480501EU | LeakGuard OneShot A/C Supplement with ExtenDye Cartridge - CPS Products Inc.
LeakGuard OneShot Cartridge Winged 1 oz. • Specifically formulated for slow leaks that can occur over a 6-12 month period (or a leak rate of 25oz/708g) per year. It can safely remain in the A/C system and prevent leaks from occurring in the future – an excellent preventive maintenance product! This is the one supplement you need to stop leaks, enhance performance, extend component life and top up refrigerant. LeakGuard OneShot wil NOT harm the A/C system or recovery equipment. 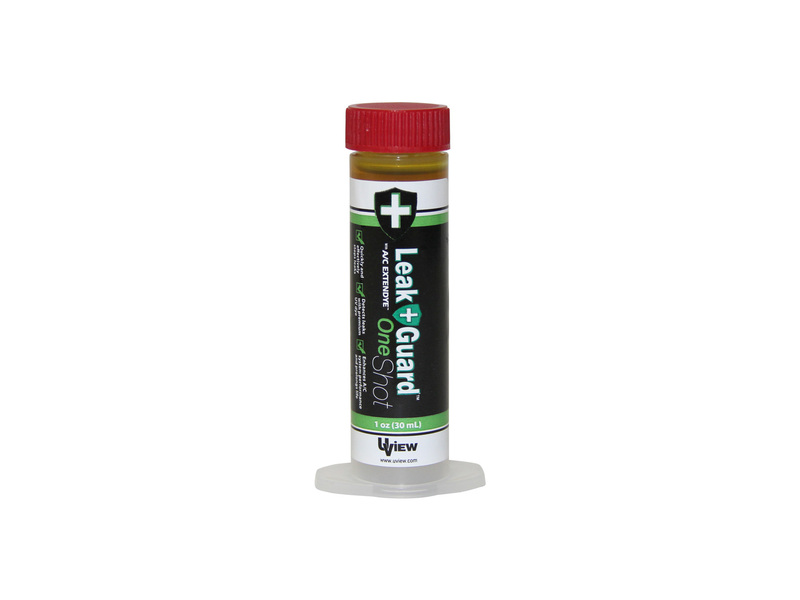 LeakGuard Technology effectively finds and permantently stops leaks as they form. Does not harden or crystallize. A/C ExtenDye fluoresces leaks brighter than the competition. Friction Modifier increases the lubricity (less friction) of the compressor oil, improving efficiency (friction coefficient) by 50% and thereby improving fuel economy. Antioxidant stops the oxidation process, reduces acidity and prolongs oil life. 4 x LeakGuard OneShot Cartridge Winged 1 oz.